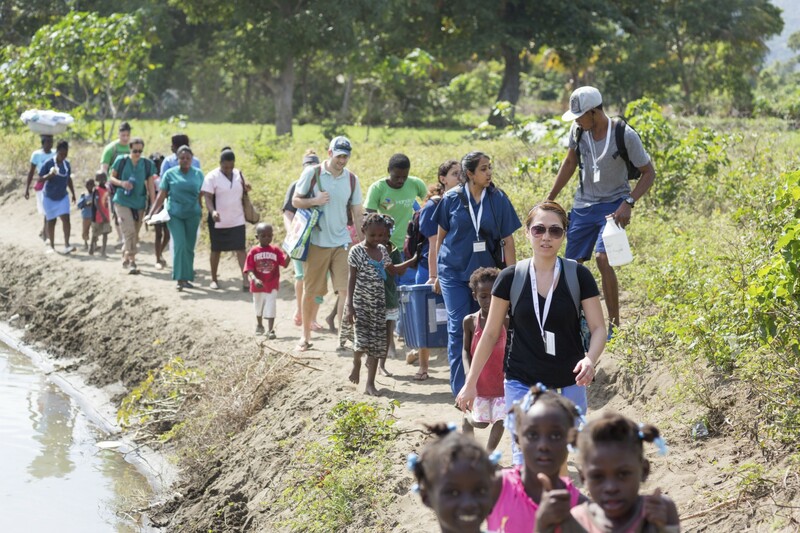 HUFH has an established education program that strives to offer a meaningful global health experience to physicians, nurses, and other medical professionals in training, while also providing them with the opportunity to work towards sustainable health care in Haiti. The core pillars of the Global Health Education Program reflect the core values of Hands Up for Haiti: mutually beneficial education, mutual respect, community consultation and collaboration, and sustainability to the population in the area. HUFH's Global Health Education Program, offered in coordination with the academic institutions listed below, is for residents in primary care specialties such as Pediatrics, Family Medicine, and OB-GYN. The goal is to improve access to primary health care for people in the regions of northern Haiti, while training the next generation of medical professionals to deliver effective health care in a country with limited resources and an underserved population. Using a unified curriculum and standard guidelines for treatment, the residents receive preparation and supervision from the faculty in their own hospitals and then in country supervision during the missions. Recognizing that global health is both a field of practice and a field of study, we encourage residents to participate to gain skills, knowledge and experience in the field. All learners are expected to view their role as part of a team that not only includes, but is vitally dependent upon, our Haitian medical and support staff. All volunteers, interns and researchers must undergo a pre-departure training program that addresses ethics, cultural sensitivity and responsiveness, safety, and health and well being. Part of the mandate for global health education and experience is to create greater awareness of the challenges to health equity. Advocacy is an important part of this work and trainees who participate are expected to share their experiences and knowledge with colleagues and communities at home. Any research projects must be clearly defined and in line with values of Hands Up for Haiti, and must have ethics approval (institutional IRB). Our primary area for the Global Health Program is at the Haiti Village Health (HVH) site in the remote rural fishing village of Bod me Limbe. HVH and the Sante Pou Yo clinic have become a critical part of this program that has trained hundreds of young doctors and nurses in the delivery of health care to a population in need with limited resources. The teams, in turn, help support the ongoing clinic work, fulfilling one of our core values of sustainability for our programs. Because the guesthouse is located within the village, HVH has a unique location for training. The volunteers engage with the children in play and the community has warmly welcomed our groups. The guesthouse is located within either walking/hiking distance or a short drive to each of the villages we serve. 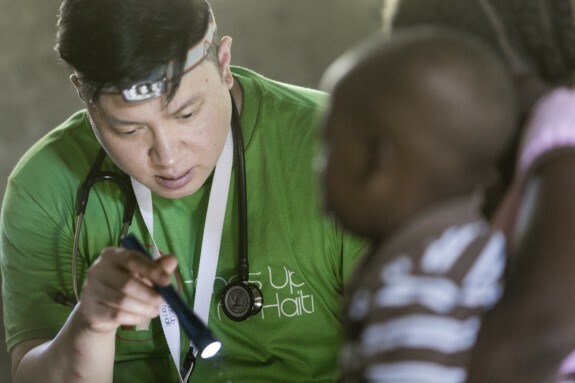 The Global Health teams hold outreach clinics on a rotating basis. During these 5-6 day missions, the team will treat about 600 patients, mostly children. 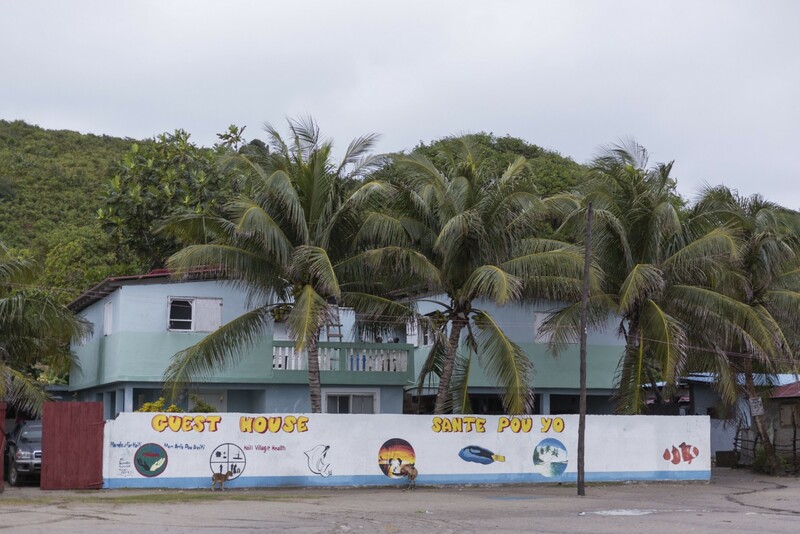 The guesthouse allows for large teams of visiting faculty, students and translators to stay in a safe, clean environment with a cooking area and clean, chlorinated water. There is plumbing, so they have running cold water for showers and toilets. Solar power was installed last year and now provides electricity for the guesthouse as well as the two clinic buildings and the pharmacy. There is a community area for meals and meetings. 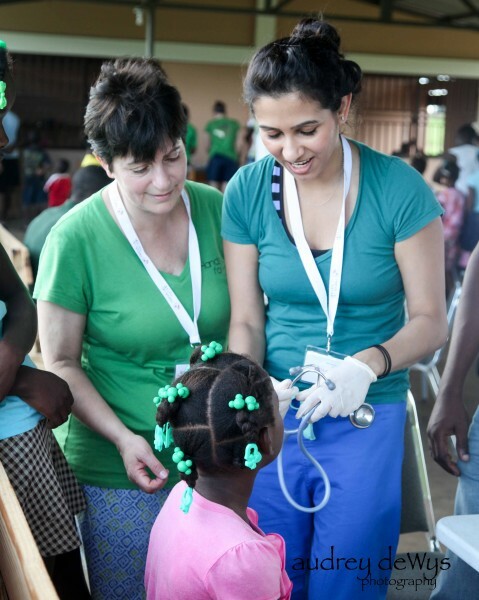 This includes education sessions for both visiting teams and the Haitian medical staff. The following institutions work with HUFH and send teams of faculty, residents (pediatric and family practice) and nurses to the Bas Limbe region, coordinating curriculum, pre and post trip programs, and research efforts. Alfred I Dupont Nemours Hospital for Children/ Jefferson School of Medicine.